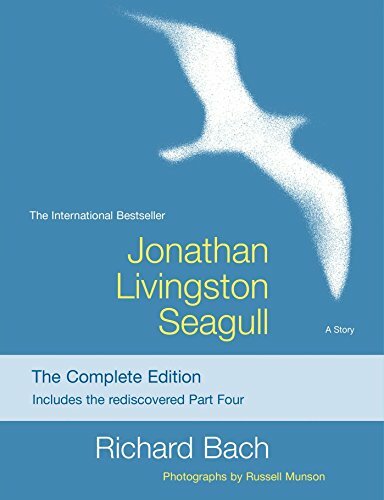 Richard Bach’s best known work is without a doubt Jonathan Livingston Seagull. Even though Jonathan Livingston Seagull was published as an adult book in the 70’s, my uncle and aunt gave it to me for my 10th birthday. I adored the story of a seagull’s stubborn pursuit in the joy of flying and took to doodling seagulls in flight for years down the margins of notebooks and homework. Jonathan Livingston Seagull truly fits the definition of a picture book — where both the text and pictures interact to tell the story together. Although, Jonathan Livingston Seagull, was my personal favorite growing up, indubitably, his Ferret Chronicles made the most impact on my family as a whole. The Ferret Chronicles is the sort of book series that should come with large warning labels and wrapped in caution tape. After reading the series to my children, son #1 asked for a pet ferret and wasn’t sidetracked from the idea even after I demanded an essay on the care of ferrets researched in our local library. And those critters lived for a long time, from the time my oldest was in elementary school till he was in high school. The books in the Ferret Chronicles were favorite read-alouds when our boys were growing up. Son #2 appropriated the family copies of the Ferret Chronicles books for his forever bookshelf – those books he re-visits and re-reads like old friends. These books make for great shared reading for elementary aged children. We gave our extended family the first book in the series, Rescue Ferrets at Sea, as Christmas gifts the year it came out because the ferrets as coast guard sailors were probably the closest to a book we’ve encountered about the Coast Guard. (This was a big deal to our family because my mom worked as the civilian personal officer on Governor’s Island a Coast Guard base in New York City’s harbor for many years before the base was closed.) 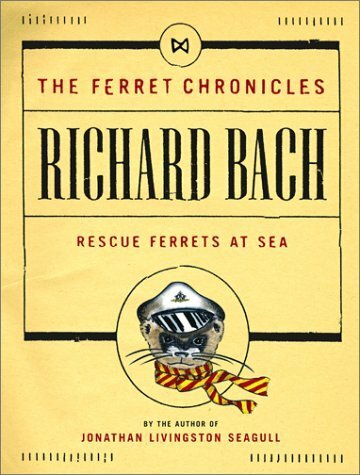 Although, Rescue Ferrets at Sea, will probably be our all-time favorite Richard Bach book, the rest of the series is a fun romp that’s a mix of fairy tale and modern parable. Ferrets are always the lead characters who have an adventure that leads to personal growth.